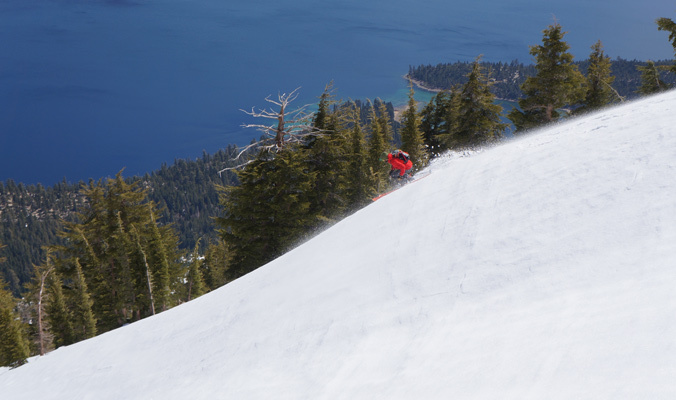 I arrive to Tahoe City as a participant in the first-ever Winter Wildlands Alliance (WWA) Ambassador Forum, and as I walk into the bar where I am meeting the other ambassadors, beers are already being poured and the conversation is in full swing. Glen Poulson is talking about a recent ski race in the Altai Mountains; Forrest McCarthy is just back from guiding in Antarctica; Kim Havell is still jet-lagged from a trip to Morocco and Noah Howell has just completed the first-ever ski of the “Hardrock 100” route. The list of achievements keeps going—I’m surrounded by some pretty badass folks. 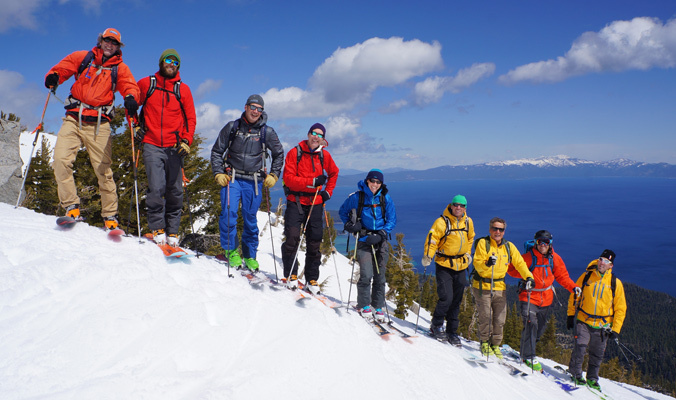 All of the ambassadors on Jake’s—a place where the Tahoe Backcountry Alliance worked to preserve parking and access. This leaves WWA ambassadors with the issue of managing rising numbers of people who are going farther, but with limited space. It’s a daunting task, but that’s why we’re holding the forum. 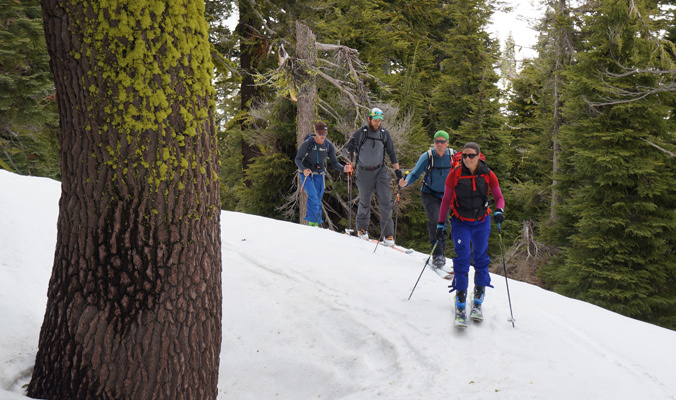 And, by the end of the day, we have an understanding that clearly, our common bond as ambassadors is a love of winter landscapes, not being “anti-mechanized.” We do, however, share a passion for quiet recreation in the mountains in winter and understand that we need to be active in protecting the places where we play. And protecting these lands takes planning. Find out more about the Winter Wildlands Alliance at winterwildlands.org.